I cook for my family and I love to use healthy ingredients in my cooking. Recently I was given 2 samples of Kravve Dehydrated Chicken Stock Powder and Salted Vanilla Peanut Butter to try. 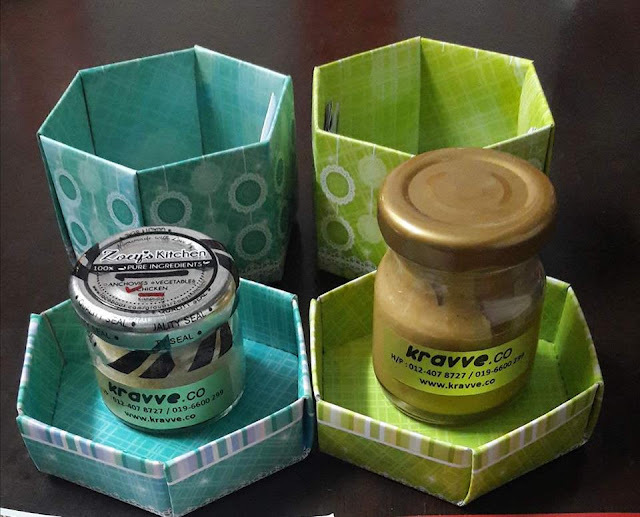 Kravve.co is an online store for healthy homemade condiments such as jams, sauces, dressings, seasonings, spreads and spices. It is also a marketplace where they host homemade goodies where you can purchase online and delivery is free. Kravve Dehydrated Chicken Stock Powder is 100% organic made using 3 ingredients - Kampung Chicken breast, Australian carrots and Australian celery. Only chicken breast is used to ensure fewer calories and the meat is cooked on a stove until a soft paste is formed. Later dehydrated for 12 hours before being blended to powder form. There are no harmful chemicals and preservatives so you can be sure this is healthy for your children. 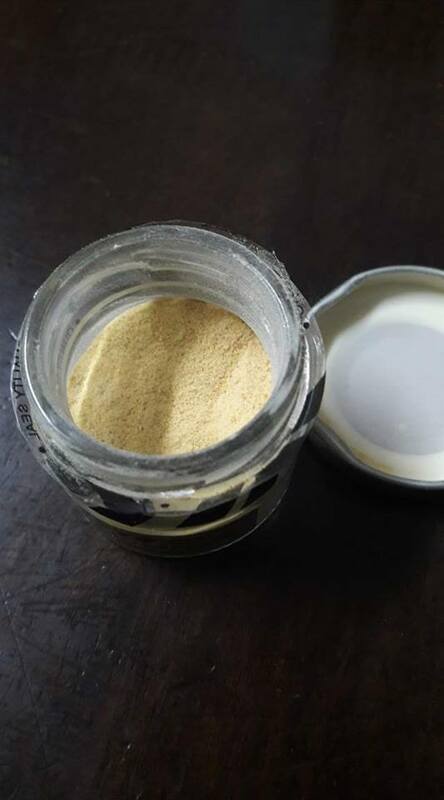 I used this chicken stock powder in my cooking, it did not change the taste of my soup or porridge much. It is light in taste, a little sweet and not salty at all. It is good for picky eaters because it has lean meat which is rich is iron, protein and Vitamin B12 to boost energy level. The carrots and celery has dietary fibres to reduce constipation. The shelf life is 3 months refrigerated and it is suitable for preggies, children 6-12 months or anyone. The Kravv Salted Vanilla Peanut Butter is made with 4 ingredients - roasted peanuts, vanilla beans, organic sea salt and raw honey. 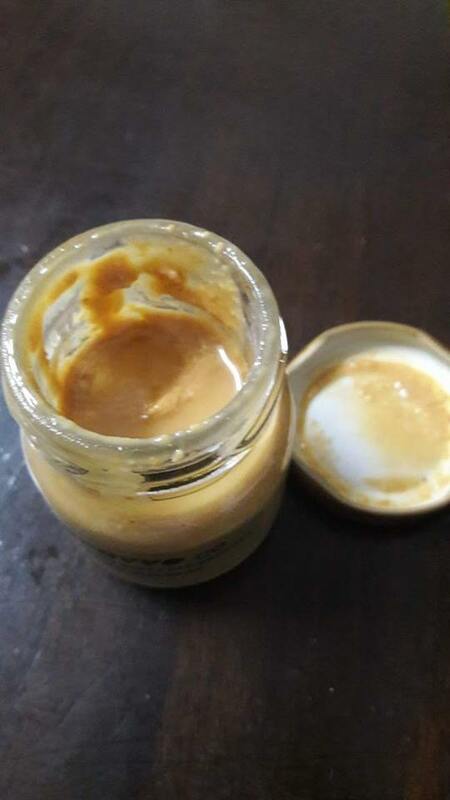 This tasted very delicious, better than the normal peanut butters in the market. The best thing is no sugar or artificial sweeteners, preservatives,chemical additives and bad amount of processed oil. This Kravve salted vanilla peanut butter has vanilla fragrance with natural unprocessed honey sweetness. It tasted really good and I love to eat it with bread. It has folic acid from legume that helps body produce and maintain new cells. Raw honey is a good source of antioxidants and phytonutrients that carries antibacterial and antifungal properties. The shelf life is 6 months in room temperature and suitable for diabetics, preggies or anyone. You need to stir before eating because the natural peanut oil separates itself after a while. Thanks for the samples. Yes, I will check out your website often. Love healthy and delicious food. This is so cool. I didn't know that someone would be kind enough to do the homemade stock. Homemade and very healthy without preservatives. Check out their website. Lots of homemade goodies available online. I love homemade stock! It looks delicious! What's your favorite dish to put it in? I use it most in my soup. I want this too. Many times wanna order from them but hesitate due to afraid of delivery mishap. Give it a try. Think the delivery should be ok.
i love Homemade products too, one of the best! And that salted vanilla peanut butter i wanna try it. Looks really good! It tasted really good. Don't forget to use my code for discounts when you purchase online. Thanks. This is homemade products? Seems not bad ! You should try it because it's very healthy. the salted peanut butter is nice..